SmartWay Partner. ISO. C-TPAT. Cargo Network Service. Cargo 2000. FAST. Logistics service providers attain a multitude of certifications, but what does it mean for shippers? Find out how providers qualify, and what you can gain from working with certified partners. Certified. The word suggests a deep commitment to a set of logistics goals: quality, safety, environmental responsibility, security. 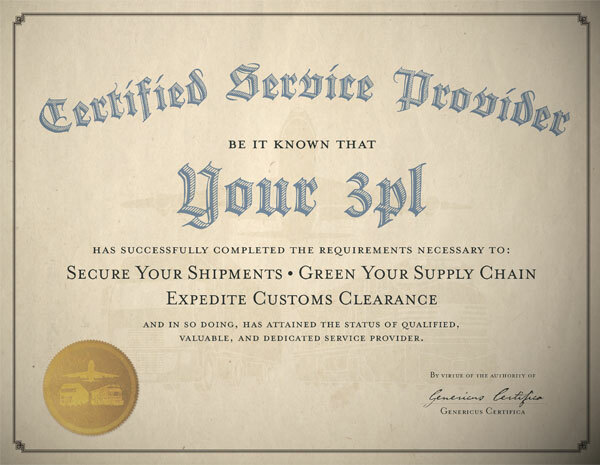 Many shippers routinely include certifications on their requests for information from potential third-party logistics providers (3PLs). But what does being certified really mean? Certification can be shorthand for conveying a provider’s qualifications, but it doesn’t take the place of fully vetting a potential partner’s practices and capabilities. It’s essential that shippers understand what it takes to earn certifications, and assess how well they align with their own goals and objectives.